Chandragiri Hill,At 2,547 meters above sea level, the view tower gives you an unobstructed 180-degree view of the majestic himalayas. From the Annapurna ranges to Mt. Everest, the snow-capped peaks feel like they are just an arm’s length away from you. seven kilometers from Thankot, lies in the southwest of Kathmandu Valley and is 2551 meters from sea level. See the soaring peaks and breathtaking views of Kathmandu Valley when it is covered with a lush green blanket of flora. Chandragiri Bhanjyang, the pass to Kathmandu Valley in the southwest, was once a common trade and travel route that to and from Kathmandu during the 1700s. The hill top offers breathtaking views of the Himalayan ranges and the beautiful Kathmandu Valley. It is an ideal destination for a day’s escape from the city. The second cable car in Nepal has been installed in this route. 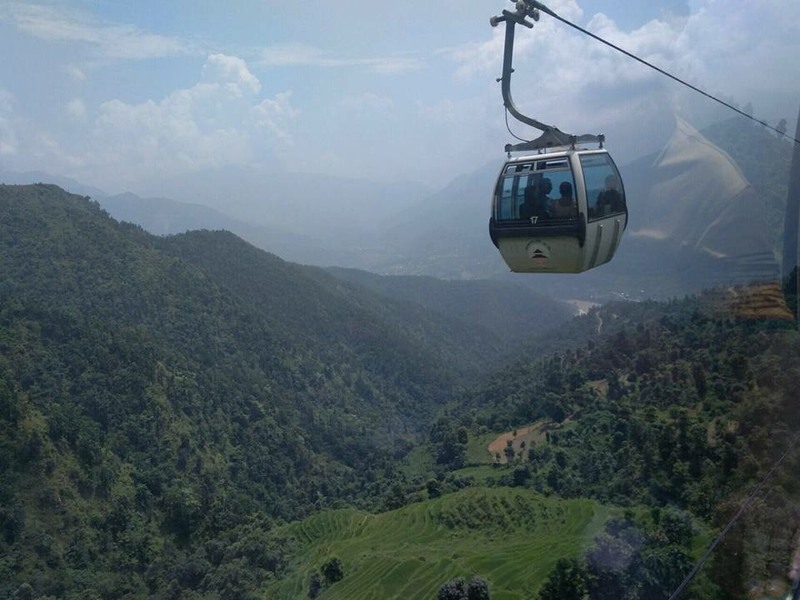 People in Kathmandu can now enjoy the panorama view of the valley and travel to the Chandragiri Hill via Cable Cars. It takes around 9 minutes to cover the 2.5 km route and serves around 10,000 people per day. Pickup time:- 8:00 to 8:30AM.